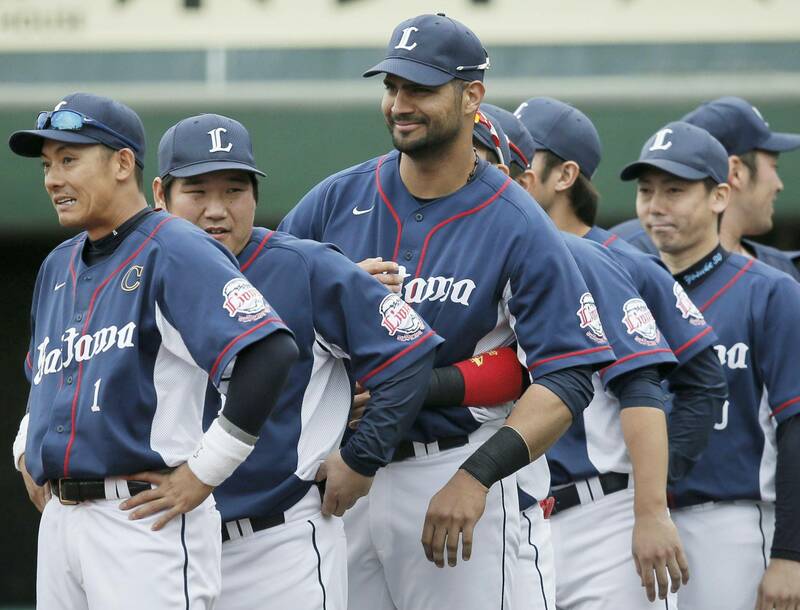 CHIBA - Without ace pitcher Takayuki Kishi, few gave the Seibu Lions much of a chance this year, their first full campaign under skipper Norio Tanabe. Yet, Seibu has so far defied predictions of failure and enter Sunday’s game at QVC Marine Field atop the Pacific League. That’s a far cry from the start of the 2013 season, when a key element of old-school former manager Haruki Ihara’s program was superficial — requiring players wear old-style long stirrup socks and prohibiting facial hair. The focus this season is on the big picture. 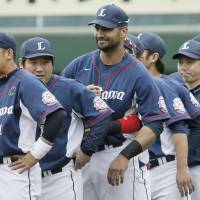 Last Sunday for example, the club gave 102-kg third baseman Takeya Nakamura a day off when he wasn’t hurt. Not a revolutionary strategy but something that goes a little against the grain of Japan’s thinking that every practice rep and every game is critical. Seibu’s strength was expected to be its heavy hitters. Hideto Asamura, the PL’s 2013 RBI king bats third in the order, followed by Nakamura and Ernesto Mejia, last season’s home run leaders, and 19-year-old terror Tomoya Mori. Yet, at the start of the season, with the often-injured Kishi out of the picture, and the offense sputtering, the pitching and defense came to the rescue. Before losing Saturday’s game against the Chiba Lotte Marines, right-hander Ryoma Nogami (4-2) had reeled off five straight quality starts. Since lasting just five innings in his April 7 season debut, Ken Togame has four straight, while emergency Opening Day starter Kazuhisa Makita has posted six quality starts in seven games. Since returning to the mound on April 28, lefty Yusei Kikuchi has thrown two straight. Kuriyama praised not just the pitchers, but catcher Ginjiro Sumitani as well, for the results. “At first, when the batters weren’t hitting, the pitchers really dug in,” Kuriyama said. “If they allowed runs early, they buckled down some more to limit the damage until the batters could put some runs on the board. Of course, they give up runs, but Ginjiro is doing a great job calling games and throwing out base stealers. Although the Lions’ team fielding percentage was fifth in the six-team PL as of Thursday, Seibu’s fielders have been extremely efficient at turning batted balls into outs, and the Lions have allowed the fewest runs in the league. “We are making fewer mistakes in the infield,” Narahara said. “We have made a few errors, but the number of errors you make is not equivalent to the number of mistakes. You can be charged with an error if you put yourself in position to make an out. If you try to get a ball that would have gone through for a hit, sometimes you’ll get an error. But there’s no difference between that and giving up and letting it go for a hit.